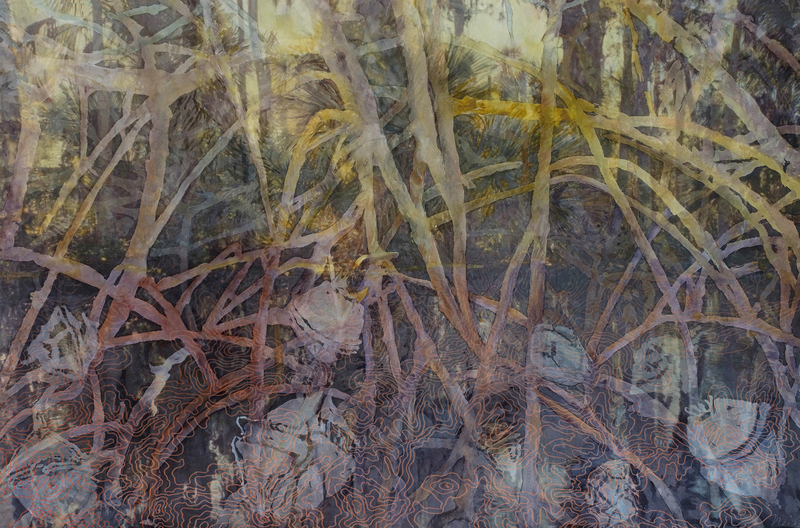 Mangrove Forest, 2017, Watercolor and archival ink print on paper and framing Plexiglas, 31” x 44.75” Mangroves trees absorb massive amounts of nutrients, thereby improving water purity and providing crucial assistance to both land and water animals & plants. The forests protect coastlines from storm erosion. Topographic lines from nautical charts are draw in red at the bottom half of the print on the Plexiglas.